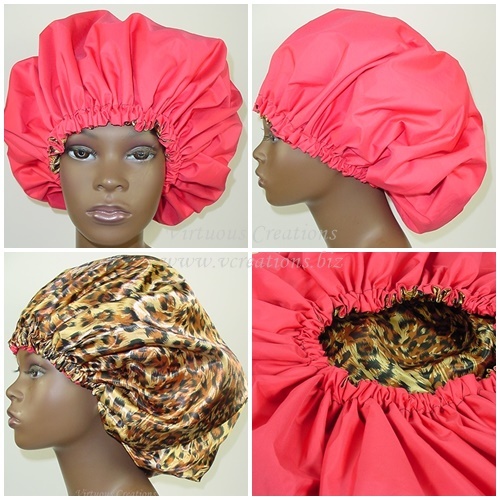 As a shower cap it is satin lined to protect your precious tresses in addition to allowing your hair to retain its' moisture. The encased elastic allows a nice snug fit that, unlike some other shower caps prevents any water from seeping into it as you shower. Turn it over to the reverse side and it is the perfect deep conditioning or hot oil treatment cap for your hair.